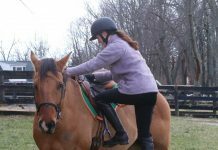 Reading Assignment: Find out about some health concerns specific to horses that live outdoors. Quiz: Test your knowledge of pastured horse health. Learn more about spring horse health care from Zoetis. Click here to download. Looks like another great course. The reading assignment for Pastured Horse Health is not coming up correctly. Thanks.